Does the child in your life always choose to ride a horse on Le Carrousel, but secretly hope to ride Cali Co Cat, the rabbit, or Flaubert Frog? Don't miss out on any one of the carousel's signature creatures--he or she can ride them all! Introducing our 10-ride discount pass. Rides are normally $2 each, but now you can save big with the 10-ride pass, available for $15 through our online store or at the carousel ticket booth in the park. 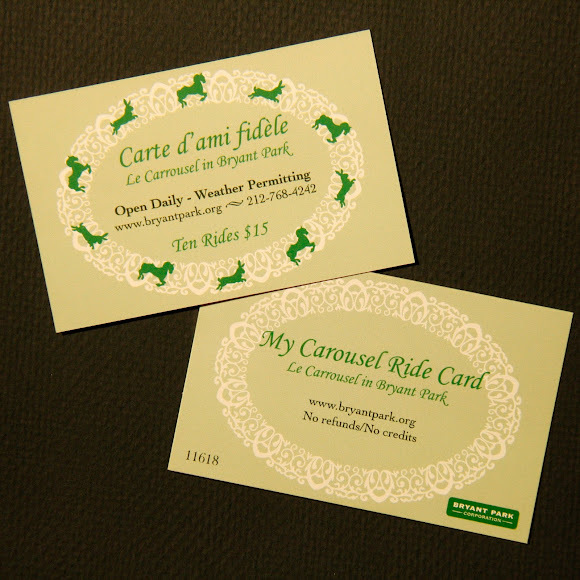 The beautifully designed card is a perfect gift for a frequent park visitor (consider pairing with a Le Carrousel Kids or Baby T-Shirt for a fantastic gift pack) or a savvy purchase for a multi-child family. In keeping with the European theme, the cards feature French on one side and English on the reverse. 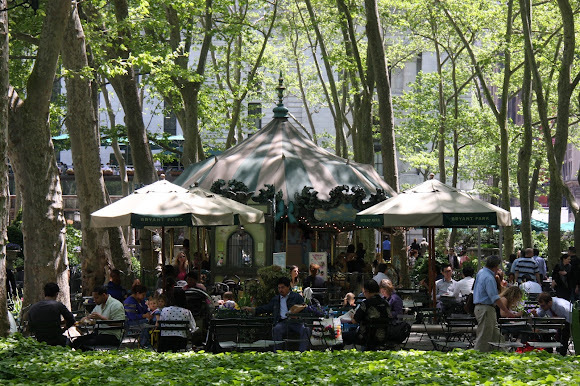 Le Carrousel is one of Bryant Park's most visually arresting features. Anchoring the south side of the park, Le Carrousel exudes French character and European charm. Allow the sounds of children's laughter and cheerful cabaret music to take you back to your childhood as you enjoy a special day with the child in your life. Le Carrousel features 14 replicas of classic carousel creatures.